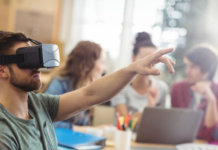 When we talk about virtual reality today, we immediately think about VR headsets that are becoming increasingly aware of a wide range of sectors: video games, real estate, industry, events. 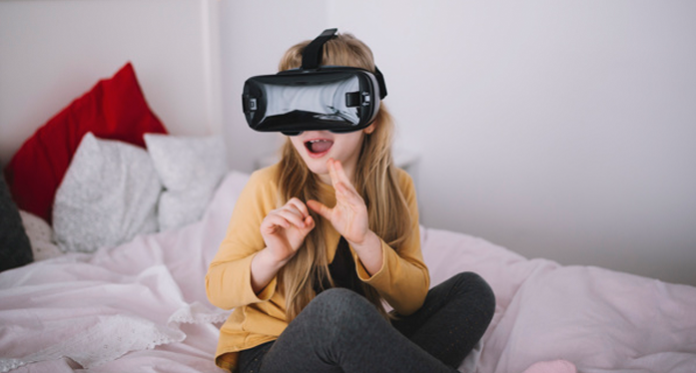 As we have seen, virtual reality includes in fact, all the technologies plunging a user into an artificial environment, whatever the meaning involved. The history of virtual reality commences in 1950. Indeed, if we thought that VR was only exploited at the beginning of the 90’s, it was not counting on the pioneers who made virtual reality a real visual revolution, like Morton Heilig., the creator of the first immersive cinema, in 1962. This “magic” box is, in fact, an individual cinema. But what makes this particularity is to have been the premier cinema to have proposed an immersion in the film by exploiting our different senses. The year 1968 was marked by the creation of the first virtual reality helmet better known as the Sword of Damocles. At that time, you should not expect a revolutionary headphone, yet this invention will influence many other creators. In 1980, the Defense Advanced Research Project Agency (DARPA) founded a simulator of a war game called “Simulation Networking” or SIMNET. The evolution of this game has allowed hundreds of soldiers to sit in simulators of tanks, helicopters, and bombers to test their fighting skills between them, much like in a very realistic video game. Since 2016, virtual reality is finally accessible to the general public thanks to headphones such as Oculus Rift, HTC Vive or PlayStation VR. To get there, it took time. Relive the history of RV through 7 major stages of its development. The idea of donning a helmet to escape from the real world and venturing into imaginary worlds is not new. In the past, however, this concept was reserved for science fiction works. Since 2016, VR headsets have finally come right thanks to companies like HTC and Oculus. Everyone can now immerse themselves in an alternate reality without moving from their living room. What most people do not know, however, is that it took a lot of time and failed attempts to achieve this level of achievement and ease of use. Relive the story of virtual reality through 7 milestones. In 1957, filmmaker Morton Heilig invented the machine designed to immerse users in an imaginary world. Its purpose is to allow viewers to absorb themselves in movies by misleading their meaning, to give a new dimension to the cinematic experience. He imagines the Sensorama as a machine capable of simulating odors, producing stereo sound, vibrations, and even atmospheric effects like the wind in the hair. Three years later, in 1960, he patented his idea in the form of a virtual reality headset with a stereoscopic screen, a field of view comparable to that of humans and a stereo sound. Unfortunately, this project was not born during his lifetime. Be that as it may, Morton Heilig laid the foundation for virtual reality. In 2017, Tecmo also realized this idea with the VR Sense, a cabin designed for Japanese VR arcades, offering a complete sensory immersion with atmospheric effects like those imagined by Heilig for the Sensorama. The first functional VR helmet was created in 1968 by Ivan Sutherland. Presented as “the ultimate screen,” this headset embeds a stereoscopic screen to display simple shapes, changing the perspective according to the head movements of the user. 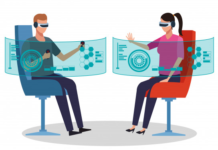 The screen is not obscured, these forms are superimposed on the real world images, and this device can also be considered as the first augmented reality headset. However, this helmet has remained at the laboratory project stage. Because of its heavy weight, the device needed to be suspended from the ceiling using a mechanical arm. That’s why he was nicknamed “The Sword of Damocles” about the famous Roman myth. At the same time as the sword of Damocles, military engineer Thomas Furness is working on an ambitious, immersive flight simulator project: The Super Cockpit. The engineer will continue to work on his plan until the 80s. This will result in a training cockpit capable of projecting computer-generated 3D maps, infrared and radar images, and real-time aeronautical data within a 3D space. According to this creator, these project cost hundreds of millions of dollars. Well before the advent of VR flight simulators, this project already allowed pilots to practice using gestures, words, and even eye movements. Aspen Movie Map is a project developed in 1978 by MIT in collaboration with DARPA. Based on photographs captured by cars in Aspen, Colorado, the software allowed the user to visit the city insight in the first person. A principle that will resume Google Earth VR, many years later, in 2017. At the time, to launch the application, it was necessary to use several Laserdisc players, a computer, and a touchscreen. There was no question of using a virtual reality helmet, but interactivity and first-person view are a first step towards how RV can help us travel. 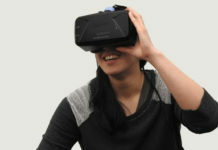 Sega is one of the first companies to have tried to market a virtual reality headset devoted to gaming and more generally intended for the general public. The Sega VR was thought of as an accessory for the Sega Genesis console. Its development began in 1991 and continued for two years. The black plastic helmet included an LCD screen, a stereo headset, and inertial sensors for tracking the head movements of the user. Unfortunately, this ambitious project was never realized. According to Sega, the firm was afraid that the effect would be too realistic and that people would get hurt. An excuse that makes you smile, but at least has prevented Sega from suffering the same commercial failure as Nintendo with its VR VirtualBoy helmet, launched in 1995. In 2010, 18-year-old Palmer Luckey created the first Oculus Rift VR helmet prototype. The device offers a 90 ° field of view and manages to raise $ 2.4 million in 2012 on Kickstarter. In 2014, Facebook purchased the company for $ 2 billion. The launch of the first commercial version of the Oculus Rift will follow in March 2016, marking the first step towards real democratization of virtual reality, despite a relatively high price. All right, you are right friend, on a regular basis updating webpage is truly necessary in support of Web optimization. Good discussion keeps it up.